We at Talk Shop need a part-time volunteer data analyst/ data visualiser to stengthen the work we’re doing in deliberative democracy. We believe that the future of democracy involves enabling ordinary citizens to take part in respectful, informed discussions that lead to real collective decisions. 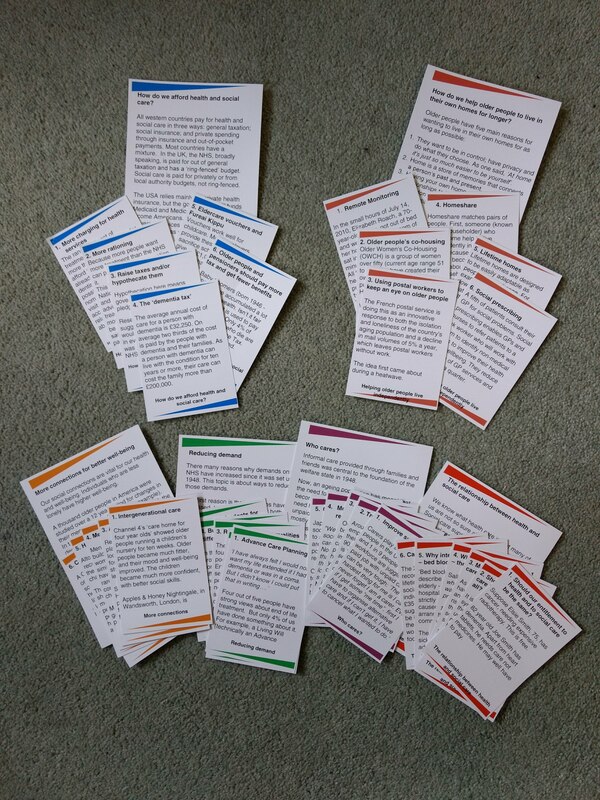 We offer card based kits for small groups to discuss important topics (see this), and promote larger meetings that make use of the kits too. Ongoing topics include Health & Social Care, Driverless Cars and Inter-Generational Justice. We now want to augment these kits by using data graphics to more fully inform the topics under discussion. Typically we are creating a new kit each month, and we envisage your work might take a couple of days for each kit. This would include agreeing appropriate data to use, finding it and transforming it into a set of data graphics. We are currently looking for a volunteer, as we are all volunteers too. However, as we grow, we are getting more experience getting funding, and so hope we could pay you in future.